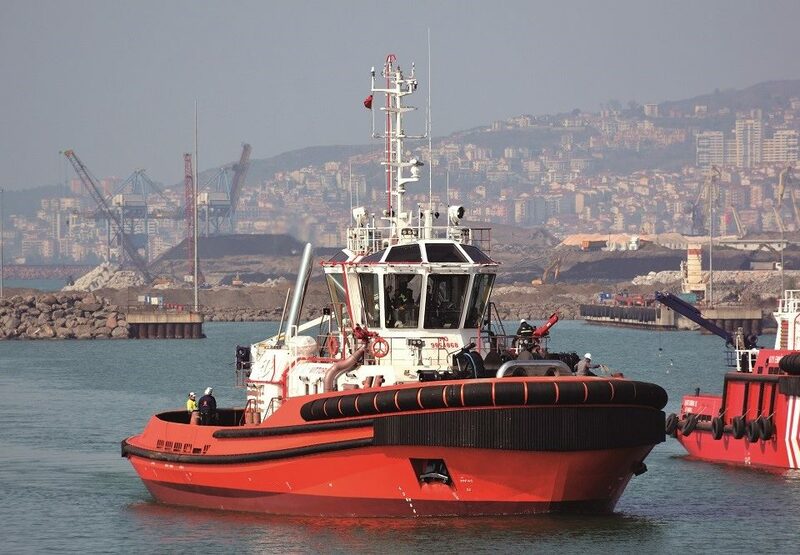 Within the next few weeks, Basque based MPP workboat Owner & operator Zumaia Offshore, S.L. 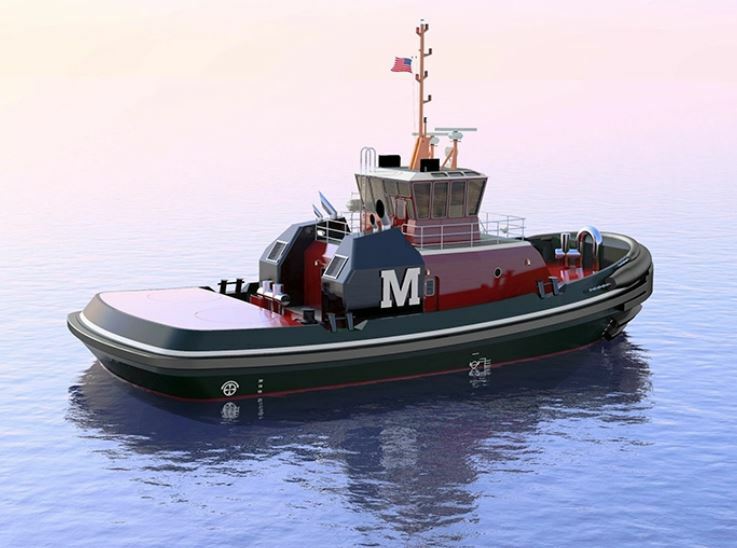 is taking delivery of a next generation shallow water MPP workboat. 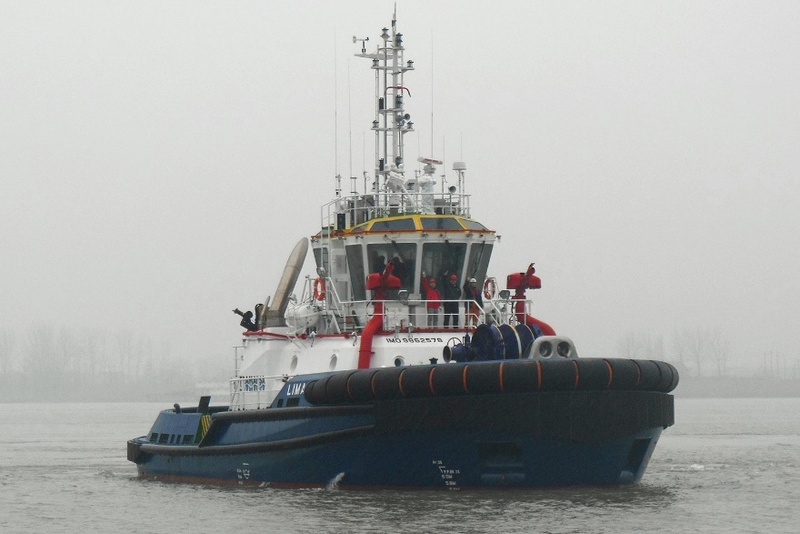 Nora B, is a DP2 classed Eurotug 3515 Hybrid built by Neptune Marine in Aalst, The Netherlands. 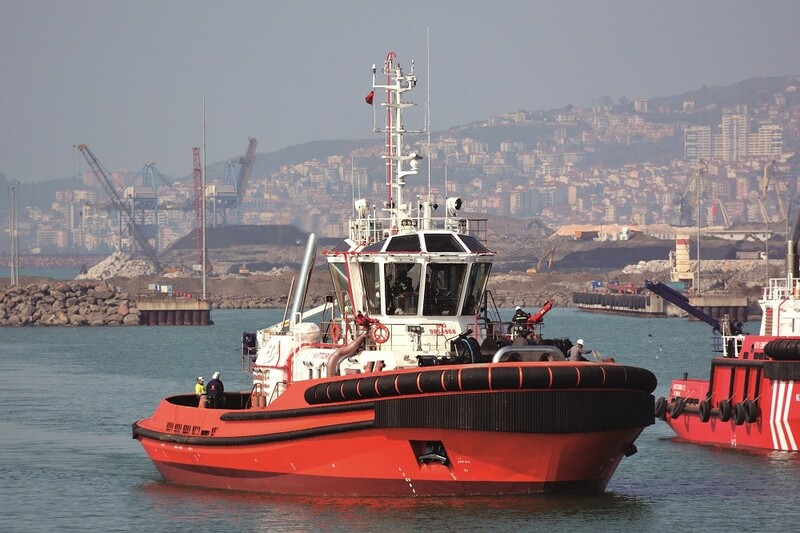 The Nora B is a renewed and upgraded version of Neptune Marine’s Eurotug 3515, which is already successful in the offshore industry, to meet the highest quality, environmental and safety international standards. The vessel has a conventional MPSV layout with bridge and accommodation forward. The Nora B has been developed in close cooperation with Neptune Marine. “We have looked at the wish list from our clients when working with our 2712 DP1 Eurocarrier Aitana B and incorporated all of these into the Nora B design. We believe she will be a true game changer” says Managing Director of Zumaia offshore, Iker Bertelink. The vessel’s massive 250m2 wood sheathed afterdeck allows a very spacious and stable platform for a wide range of requirements, such as offshore supply duties, diving support, survey & ROV, PLGR, trenching, mattress installation, UXO clearance, cable laying, pull-in & retrieval, amongst many more, including towing, pushing and mooring. 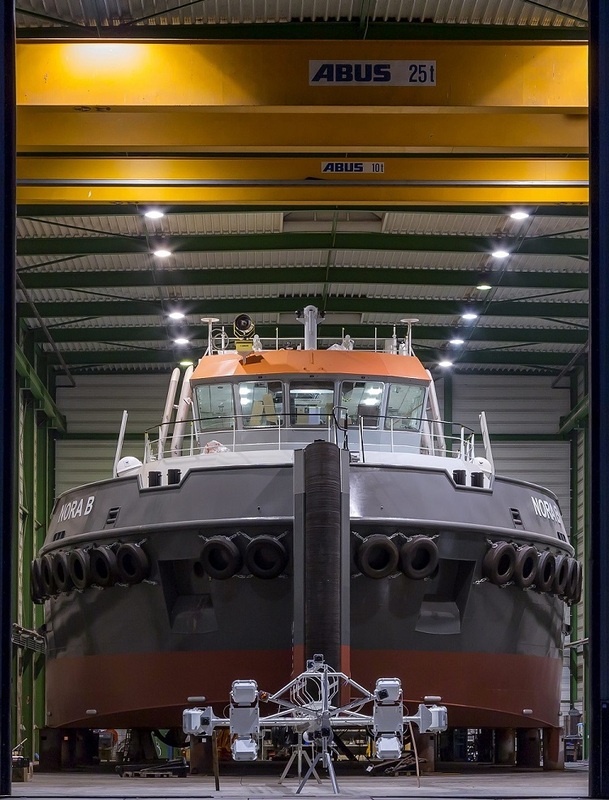 Nora B also is fitted with impressive deck equipment, such as anchor-handling, towing and tugger winches, pins and shark-jaws before an open stern with roller, a moonpool, 4-point mooring capability and a heavy-duty knuckle boom crane. On top of it, the vessel will also be fitted with a 25ton SWL hydraulically adaptable A-frame, a platform for safe and reliable geotechnical and geophysical survey performance. To be able to deal with market’s demand, the vessel includes comfortably heated and air-conditioned accommodation for 9 crew and 12 passengers and state of the art navigation and sat-com equipment. 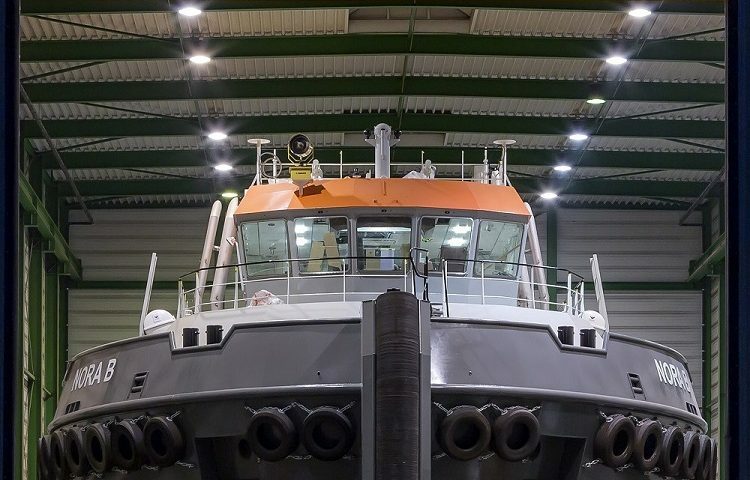 The main feature of this all-round workhorse, which is ready for the modern offshore & renewables market, is the optimal combination of performance and DP capability alongside minimum draught and efficient fuel consumption. Her hybrid engineering configuration delivers diesel-electric performance for low-emission free running or DP1 / DP2 operations, through 4×450 kW generators and 2x 192 kW electric drives. This ultimately leads to increased DP accuracy and reduced fuel consumption rates and noise levels. The vessel has a user-configurable power management system, which allows operator to choose from different working modes in order to adapt the vessel to the client and sea&weather conditions, using the right amount of power at any given scope of work. Moreover, the electric drives can also be used in combination to the conventional 2x970kW diesel main engines, delivering an additional 384kW power-boost if required. In this mode the Nora B will have a maximum expected bollard pull of 40tons. Furthermore, the e-drives can also work as shaft generators to deliver the required electric power of the vessel while free sailing or when mobilizing. Nora B was launched end of February and has already completed her first sea and DP trials, with very promising results. “We feel that this vessel is ticking all the boxes we hoped for after years of experience and direct feedback from clients. The Nora B will sure be the ideal complement to our Aitana B. It is our vision to work together with our clients for a common goal, and this vessel, together with our crew, will be paramount for achieving it. We want to thank Neptune Marine for delivering –again- such an innovative and high-quality vessel”, said Iker Bertelink, Managing Director of Zumaia Offshore.